When we are out and about at events, one topic our yarn doctors are often asked about is sewing up. A lot of you don’t enjoy this aspect of finishing your projects and some say it is because their sewing doesn’t look neat. For straight seams, mattress stitch is a great choice and once you get the hang of it, an easy way to create a good finish. 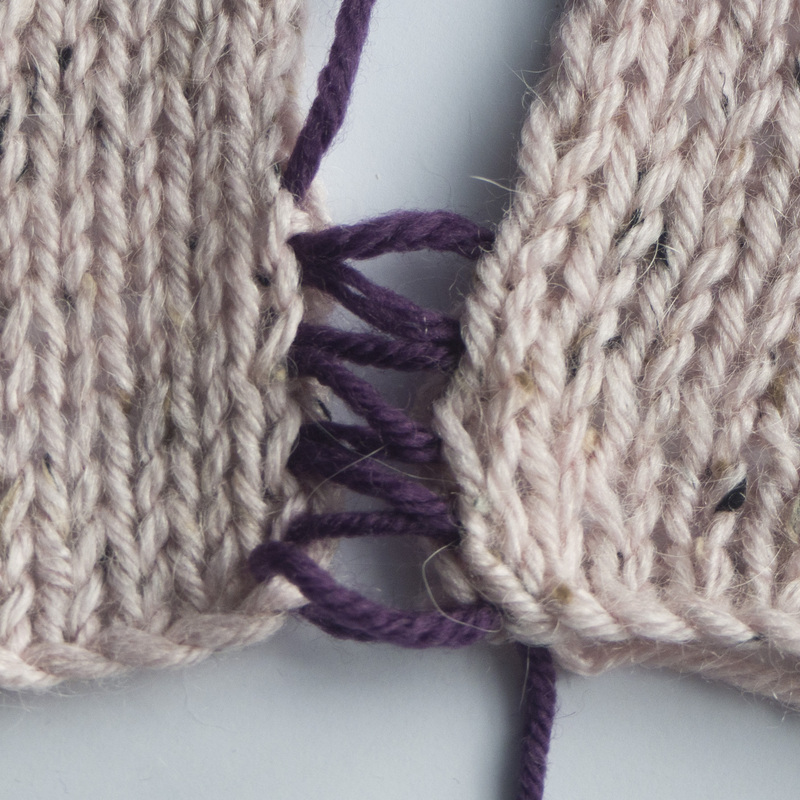 Mattress stitch is worked using the “ladder” between two columns of knitted stitches. 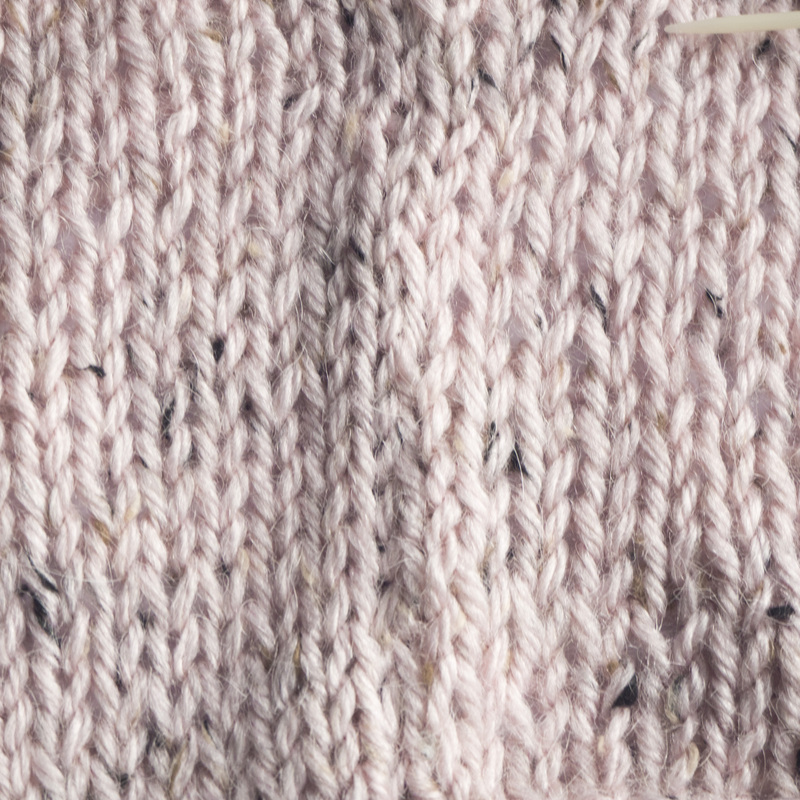 The swatch pictured has been stretched out to show a ladder (indicated by seaming pin). When seaming, mattress stitch uses the ladder between the column of stitches at the edge of the seam next one in on each side. 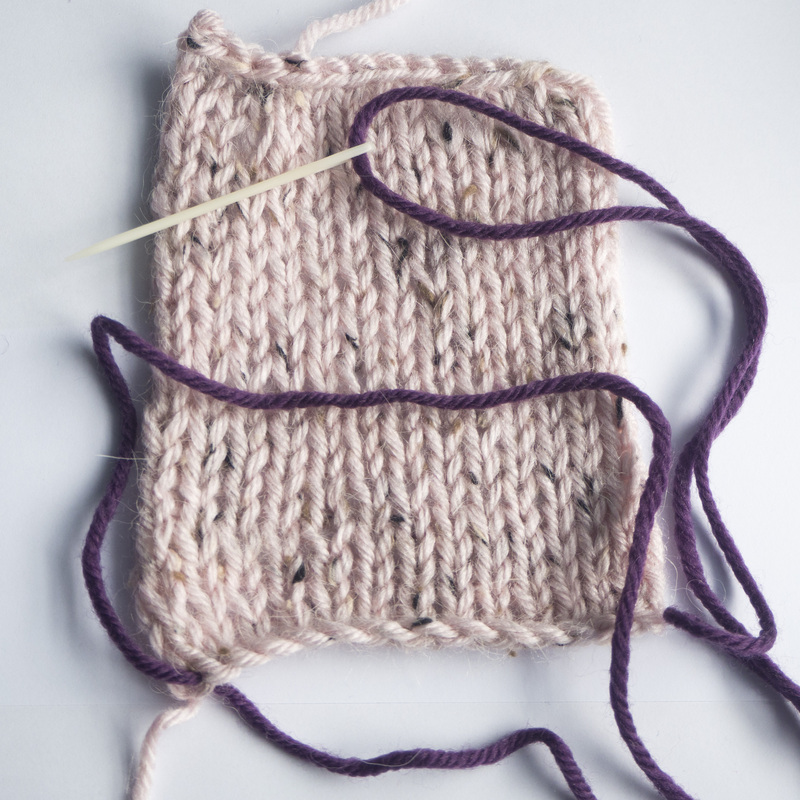 Place the pieces to be seamed side by side on a surface with the right sides facing upwards. 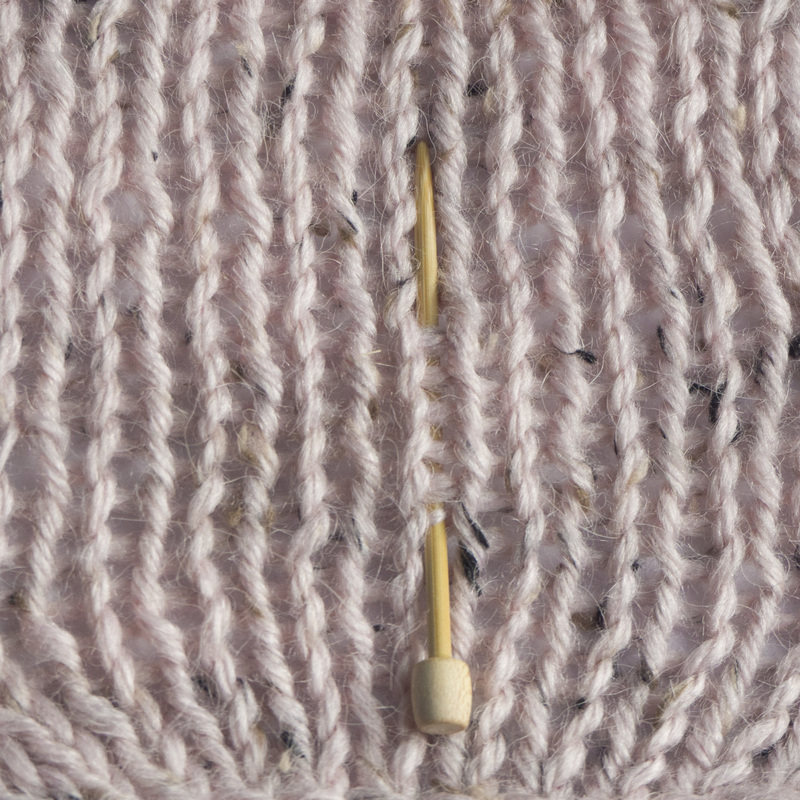 Thread a daring needle with a long length of yarn (contrasting yarn used here to make the stitches clearer). Bring the needle under the cast on at the bottom of the ladder you are going to work through on the piece to the right of the seam, and draw the yarn through leaving a 15cm tail. 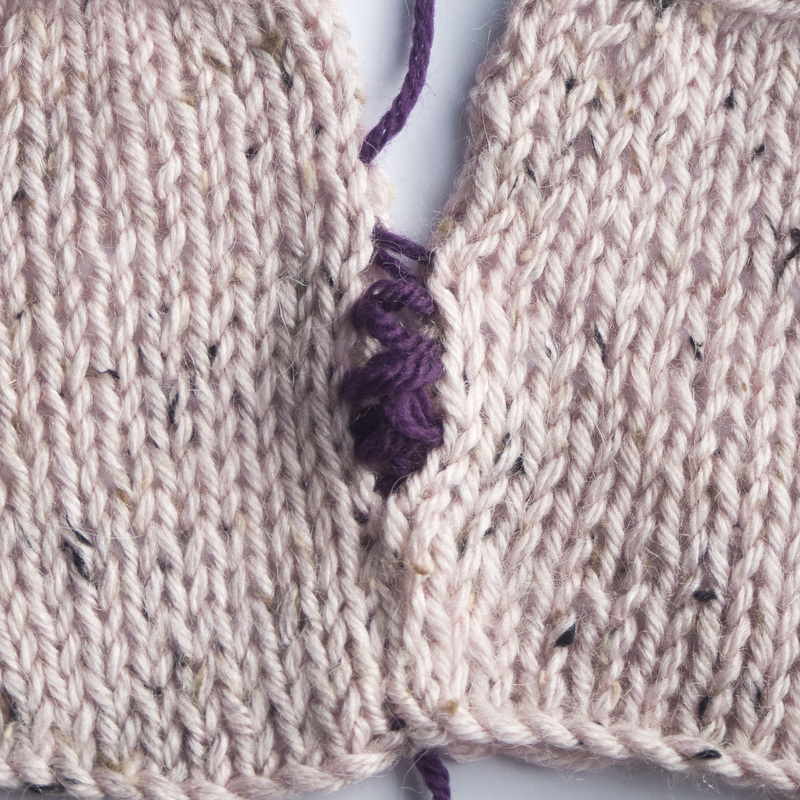 Repeat the starting stitch on the left hand piece. Then put the needle under the first two rungs of the “ladder” on the right hand piece. 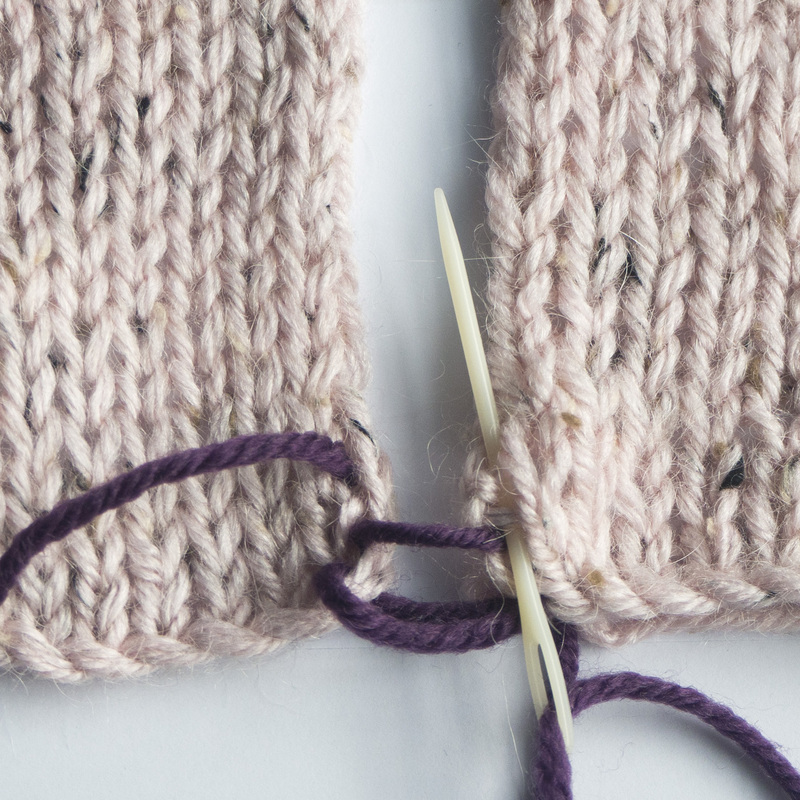 Draw the yarn through but don’t pull the yarn tight. Repeat under the first two rungs on the left side and then on the right again. Continuing working under two rungs at a time, alternating sides, until 2-3cm of the seam was been worked. Stop after working the left hand side. Hold the tail of the yarn below the start of the seam and gently pull the working end of the sewing up yarn to tighten the seam. As you pull it will tighten towards the top first, but keep pulling gently and whole seamed length will come together. Don’t pull hard because this will risk puckering the seam. Stop when you have a flat join. 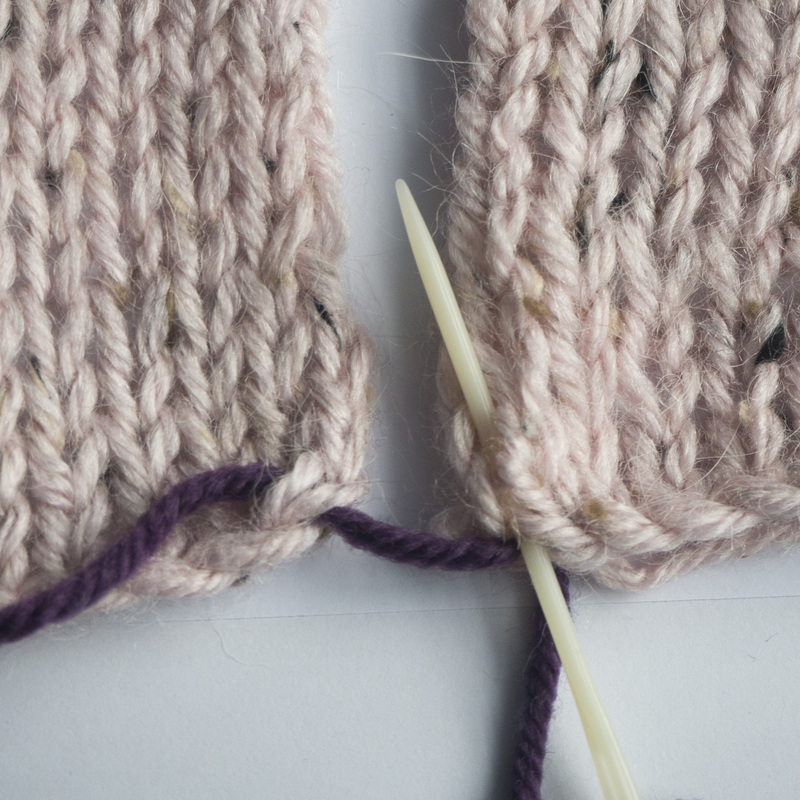 Continue to work up the seam, taking in two rungs at a time alternating before. Pull the seam closed every few centimetres. 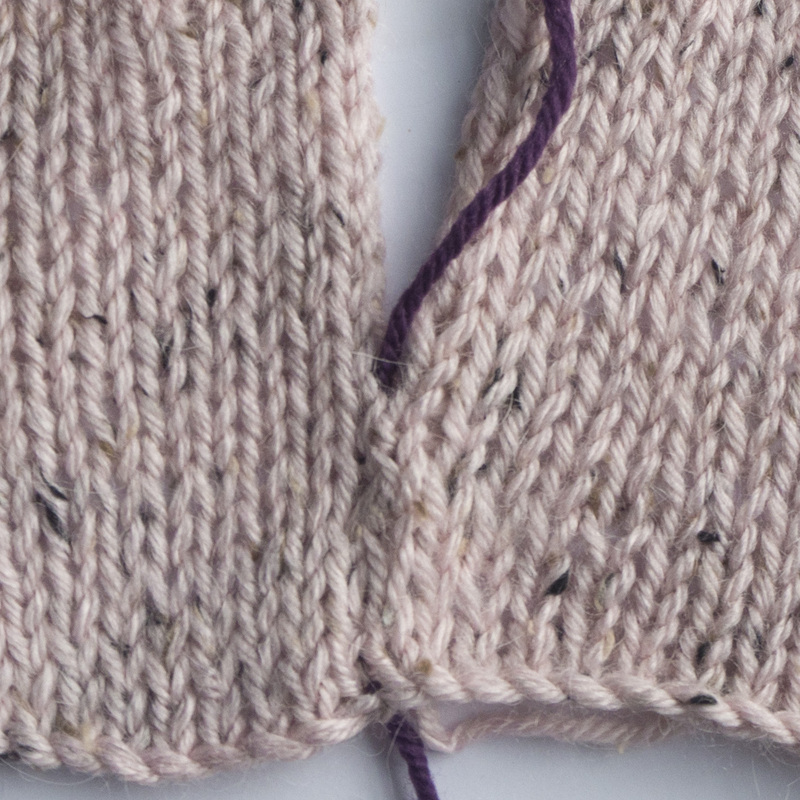 When you get to the end fasten off and weave in the end of the seaming yarn at each end. The result will be a flat seam that is almost invisible. 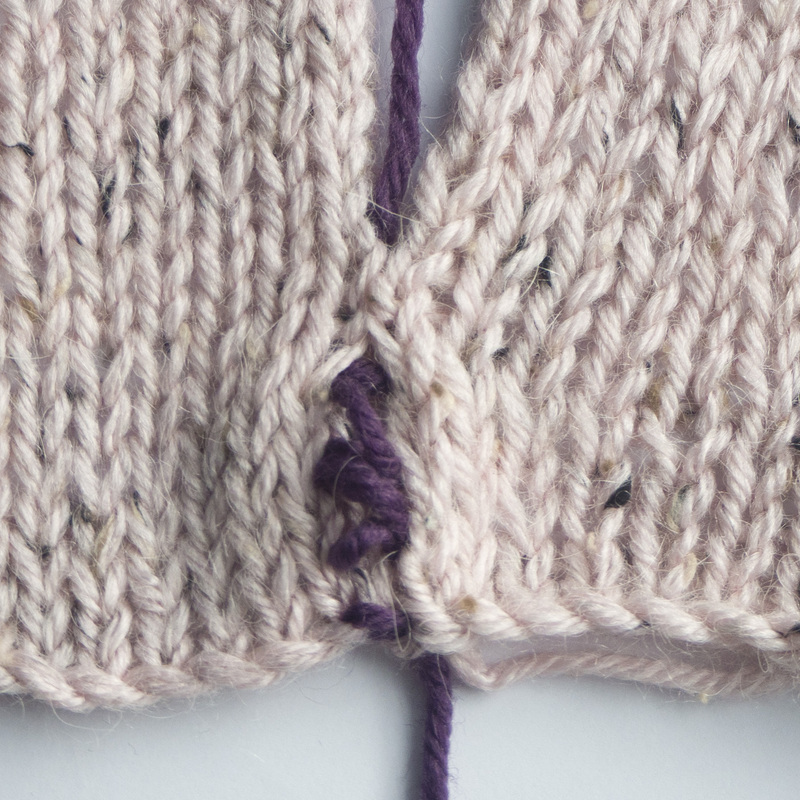 And once you have mastered the stitch, you will find it is also relatively quick to create neat, straight seams.